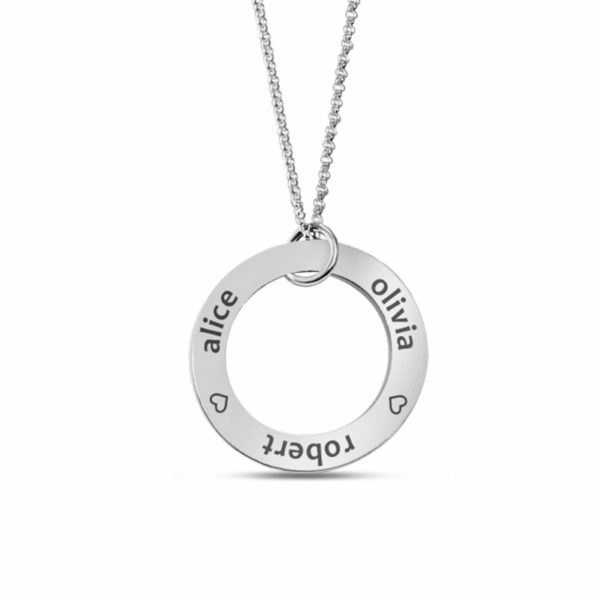 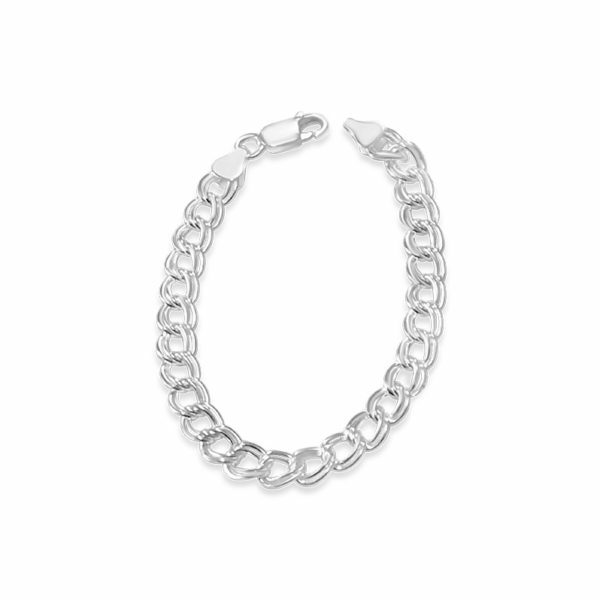 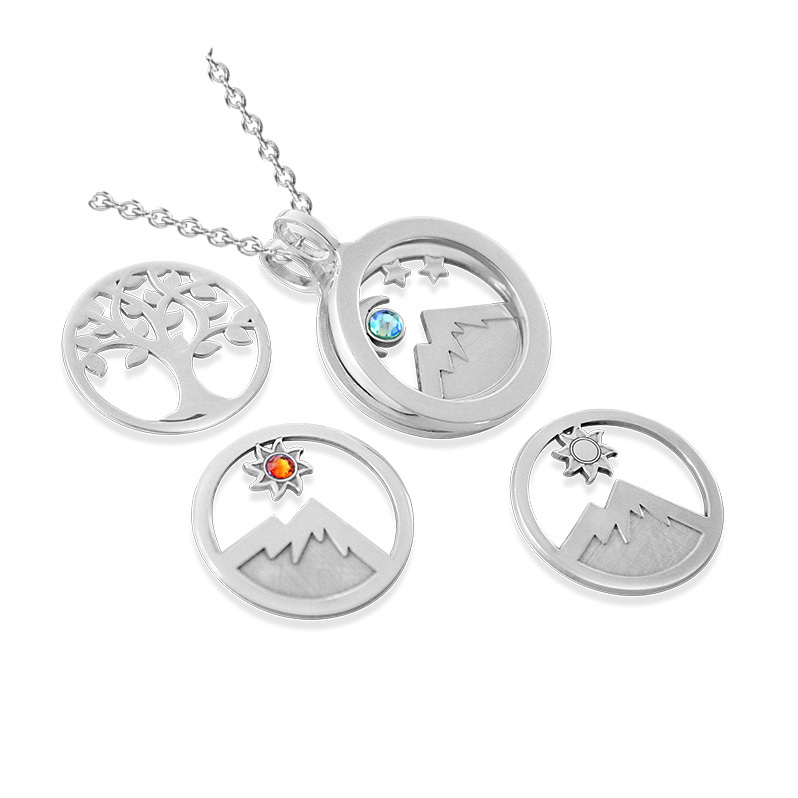 Shine brightly with this sterling silver pendant with interchangeable inserts. 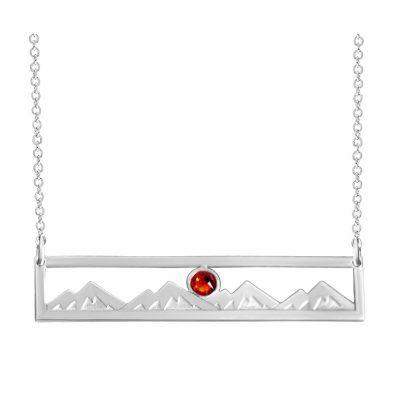 The stunning skyline of the Colorado Rockies is captured in a handmade sterling silver insert, with a topaz red Swarvoski crystal illuminating the skyline. 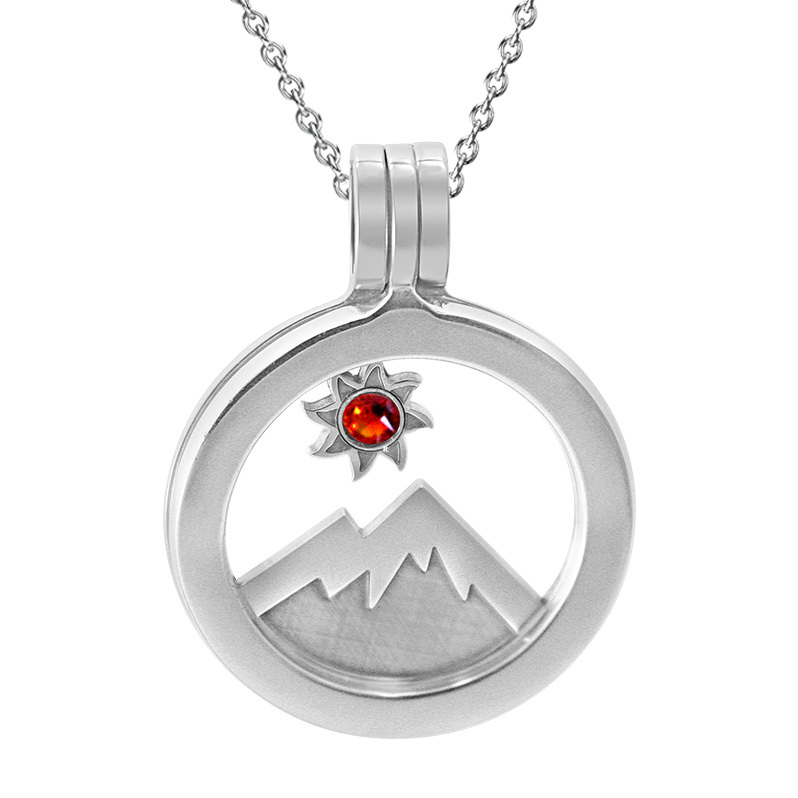 Easily change the look from day to night, with an insert showing a blue Swarovski crystal shining in the evening Colorado sky.